Ethlyn Rhymer, author of Life in Paradise, presents a copy of the new book to her aunt during a book launch on April 3 at Maria’s by the Sea. “I feel like I just gave birth to a baby: I could sleep,” Ms. Rhymer said of the book, which reflects on life in Cane Garden Bay in the 1950s and 1970s. She began writing it in 2016. 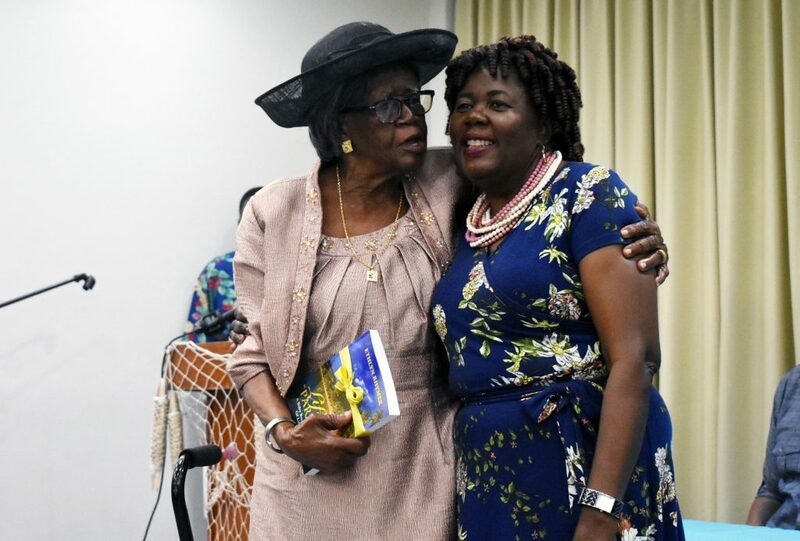 During the launch, which was coordinated by the Ministry of Education and Culture, Ms. Rhymer’s friends and family members took turns sharing kind words and reminiscing on how they lived before electricity came to the bay.